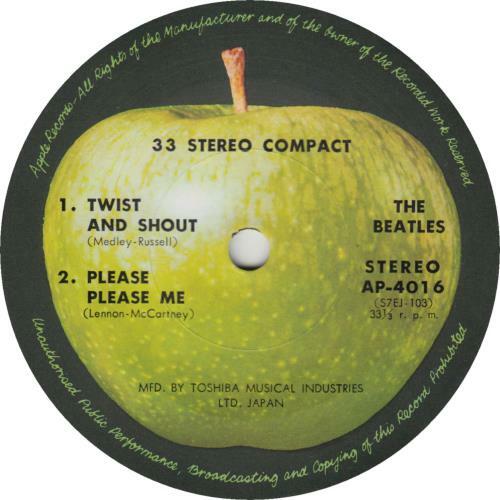 THE BEATLES Japanese EP #1 (1973 Japanese fifth issue 4-track 7" vinyl EP, on the Apple label with 'MFD. 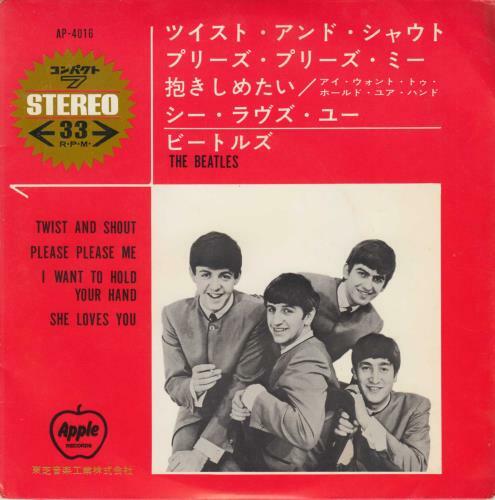 BY TOSHIBA MUSICAL INDUSTRIES LTD. JAPAN' text, includes Twist And Shout, Please Please Me, I Want To Hold Your Hand and She Loves You; unique red bordered flipback picture sleeve with 'H �600' price point on the back. The sleeve displays some light general wear and the vinyl shows only light signs of play AP-4016).